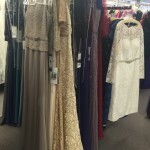 Nancy’s Bridal and Eveningwear located at 17 Main Street in Cortland is the place to go for upcoming formal needs. 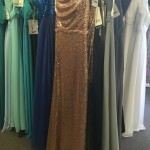 Nancy offers a nice selection of Prom dresses for the area girls to choose from. 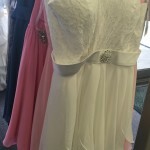 Nancy also has layaway for the girls dresses and as soon as they put a deposit on their choice, the dress doesn’t get resold to another girl from that school. 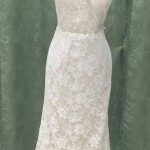 For brides, Nancy’s offers a selection of dresses from size 6-30 for trying on. Most dresses can be reordered in size 0-34. Her bridesmaids have a wide selection to choose from with dresses from 8 different companies many of which have a large selection of colors. 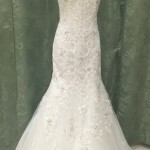 Whether you are looking for 1 shoulder, strapless, short sleeve or with a jacket, Nancy’s Bridal and Eveningwear is the place to check out with over 1000 dresses in stock! For Nancy’s customers she offers alterations, free pressing and of course layaway on every purchase. You can check out Nancy’s facebook page for specials, hours etc. or call her at 607-662-4247.